The Holman Building, redeveloped for commercial mixed – use as the RiverEast Center, includes office space for two corporate headquarters and retail uses. RiverEast is an important project in the redevelopment of Portland’s inner eastside, located adjacent to the Willamette River and Certified LEED Gold. 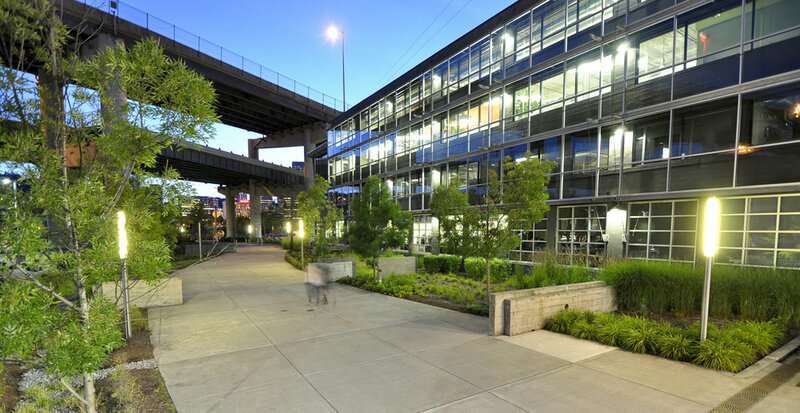 Major site design components included converting the Clay Street ROW adjacent to the building into a pedestrian plaza that provides a connection for eastside neighborhoods to the Willamette River Greenway. Unique features include creating a green parking lot, retrofitting Water Avenue to a Green Street, conveying and treating rooftop runoff with artistic downspouts and stormwater basins, and re-using recycled materials from building demolition for site wall features. 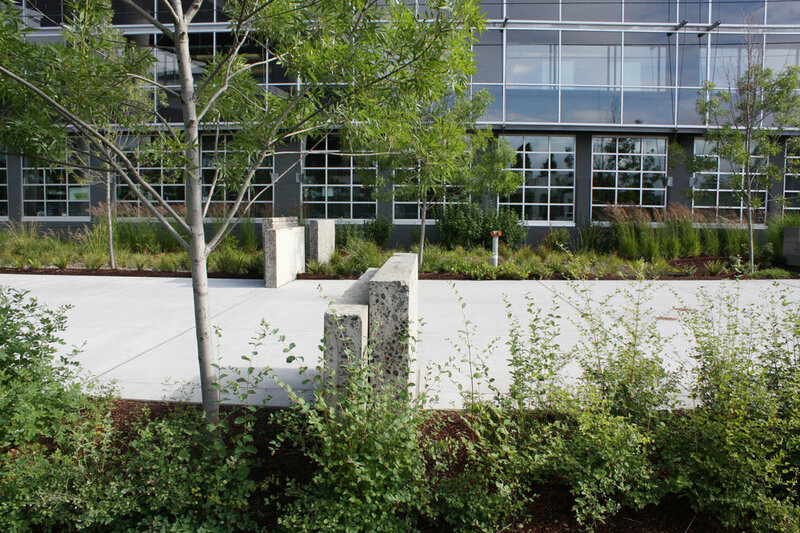 The project exceeds City of Portland standards for stormwater management by treating roof runoff from the building through stormwater flow-through planters. The development was coordinated with many local agencies including Portland Development Commission, Portland Bureau of Planning, Portland Bureau of Transportation, and Bureau of Environmental Services. The project relies heavily on native planting schemes to conserve water consumption and promote bio-diversity. GreenWorks services included schematic design, design development, and construction documentation services.